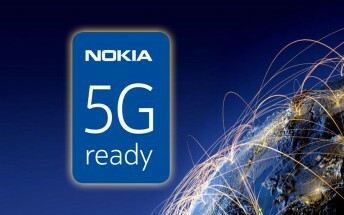 Nokia and Orange have partnered up to develop the future 5G mobile networks. Key updates include “Ultra Broadband” and Internet of Things support. Nokia’s infographic on 5G details the possibilities of a 5G network, which will go far beyond mobile phones. Everything from smart clothes to road toll collection is on the cards. 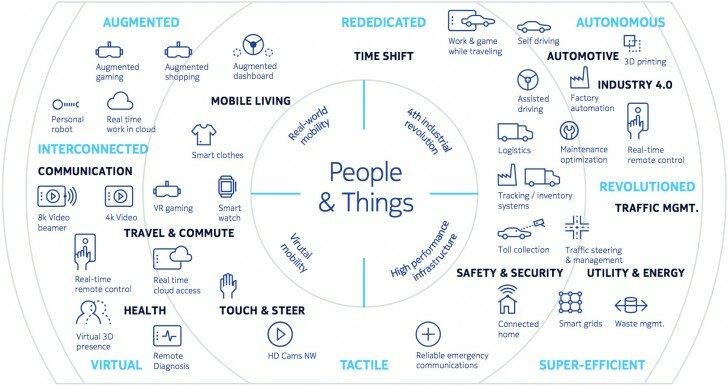 This approach will greatly increase the number of “users” on the mobile network, be they your smart fridge or a robot in an automated factory (Nokia expects billions of connections). This will be achieved with “Dynamic Network Slicing” which will allow the carrier to configure its networks for many various use cases and requirements and run them simultaneously on the same equipment. Then there are high-bandwidth applications like 8K video and VR gaming. For those, the Nokia and Orange joint team are planning “massive MIMO” and new frequency bands to build on the current 4.5G and soon to be deployed 4.9G networks, which already promise gigabit per second peak speeds.